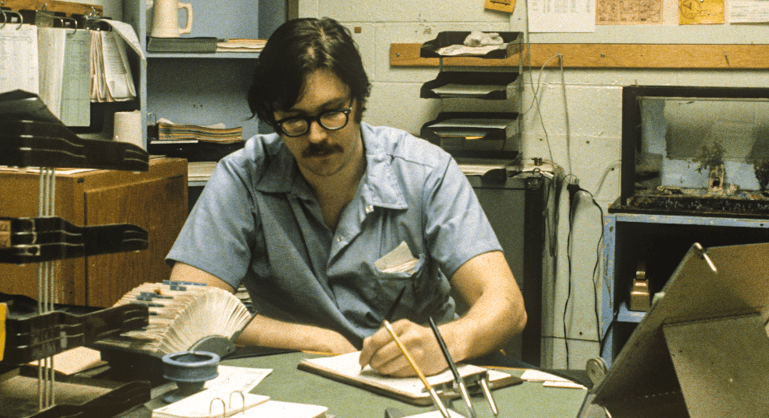 Following his incarceration in 1973, Edmund Kemper became a coordinator of the prison’s program called the Volunteers of Vacaville or, as the inmates call it, the blind project. Since 1960, volunteers at California’s Medical Facility State Prison have been narrating books for the visually impaired men, women and children all over America, ranging from best-sellers to textbooks, mysteries, science fiction, Westerns, children’s books and cookbooks. From 1977 to 1987, Edmund Kemper personally had spent over 5,000 hours in the recording booth and had more than four million feet of tape to his credit. In total, Kemper narrated several hundred books, including “The Glass Key”, “Petals on the Wind”. “Flowers in the Attic”, “Merlin’s Mirror“, “The Rosary Murders”, “Sphinx”, and even the “Star Wars”. 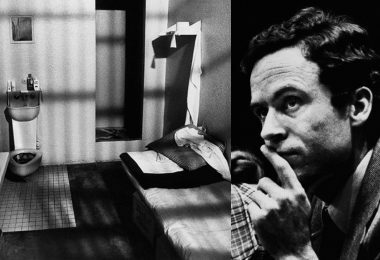 Exclusively for the readers of True Crime Magazine, the Volunteers of Vacaville shares a morbidly fascinating audio clip of Edmund Kemper narrating V. C. Andrews’ best-selling book Flowers in the Attic.